We provide log home, timber and wood products for your home including house logs, log siding, milled timbers, hand peeled posts, rustic wood flooring and paneling, log railings and stairs, wood mantels and countertops and other special order products. In the middle of North America, an ancient, oval-shaped mountain range rises abruptly from the Great Plains. The Lakota people called the range "Paha Sapa", meaning Black Hills, because they're so densely timbered, they appear black from a distance. 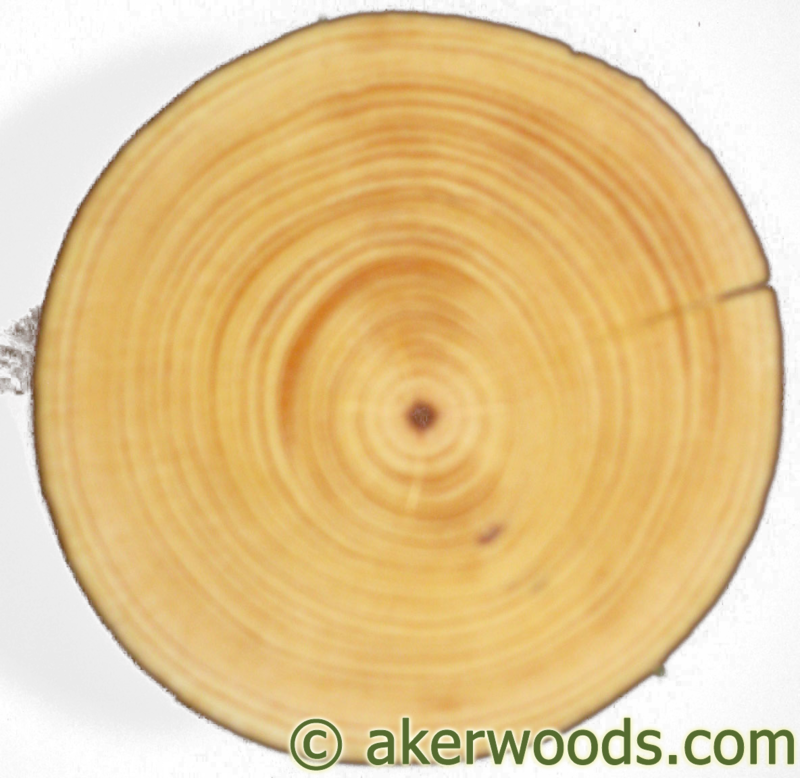 Aker Woods Company is a third-generation logging and sawmill business which creates unique products from a very unique part of the world. The timber for our products grows on carefully-managed privately-owned forests. 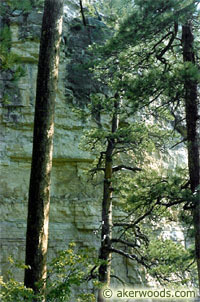 The unique Black Hills climate produces slow-growing, straight timber with a tight grain and small knots. The small size of our operation means we can efficiently and quickly look for just the right trees to fill custom orders. We take pride in sustainable forestry. That means leaving enough good trees growing to maintain a steady supply of wood products, clean water, and good wildlife habitat. Our sawmill can custom-cut almost any dimension of lumber you need. We can ship it rough-cut, straight-planed, or with a hand-hewn look. Species available are Ponderosa Pine, Black Hills Spruce, Eastern Redcedar, Quaking Aspen, Bur Oak, and Paper Birch. Check the menu bar above for information on each of these species. We sell whole logs and posts, either hand-peeled or with the bark on. We can produce half-logs, quarter-logs and even hollowed-out logs. No order is too small for us. They range in weight from a few pounds to several tons.